The Christkindlmarkt originated in 15th century when elderly women began selling handcrafted items in front of the cathedral during advent season. 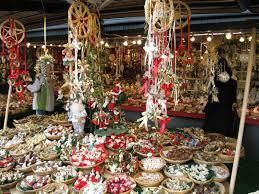 Today, this middle age christmas market boasts a cozy and intimate atmosphere with only 85 vendors. 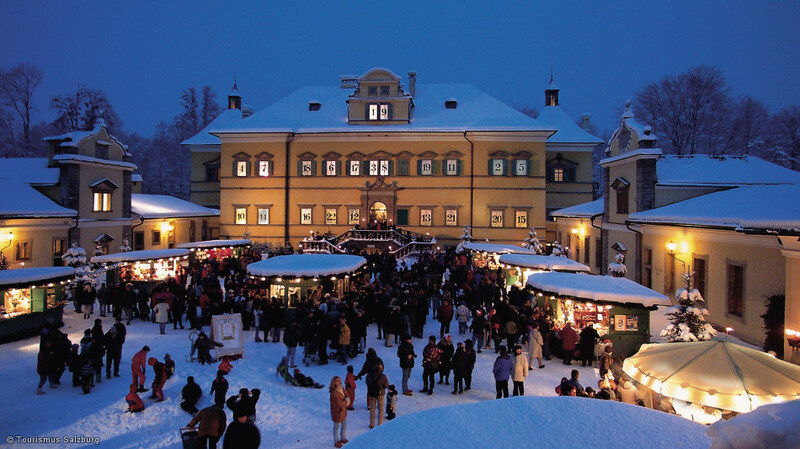 Each offering traditional and seasonal crafts and trinkets, coats, gloves & scarves, tree ornaments, mulled wine, delicious treats like lebkuchen (gingerbread), roasted chestnuts and almonds, and more! All of this is nestled underneath the starry night sky, christmas trees draped in twinkling nights and the sounds of choir songs floating through the air. A unique feature to look out for in Salzburg is one of the world’s largest Advent calendars, just south of town at the Schloss Hellbrunn, a 17th-century pleasure-palace built for Salzburg’s archbishop-princes that just so happens to have 24 windows on its facade—perfect for an Advent calendar. Christmas in Europe is truly magical. Take advantage of the opportunity to explore Europe during it’s most charming time of the year and pick up traditional gifts for your family and friends. Each market is beautiful and has something unique to offer. 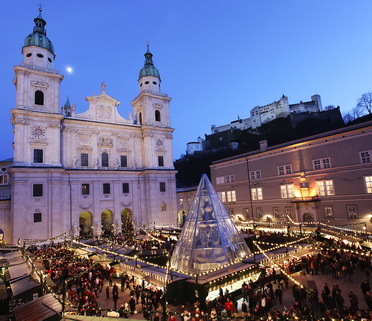 To experience the markets in Salzburg visit florenceforfun and join us on our Winter Wonderland tour!